the line on the map attached hereto. years from the date of its signature. enable it to ascertain its oil possibilities. exploit its Concession by appropriate scientific methods. 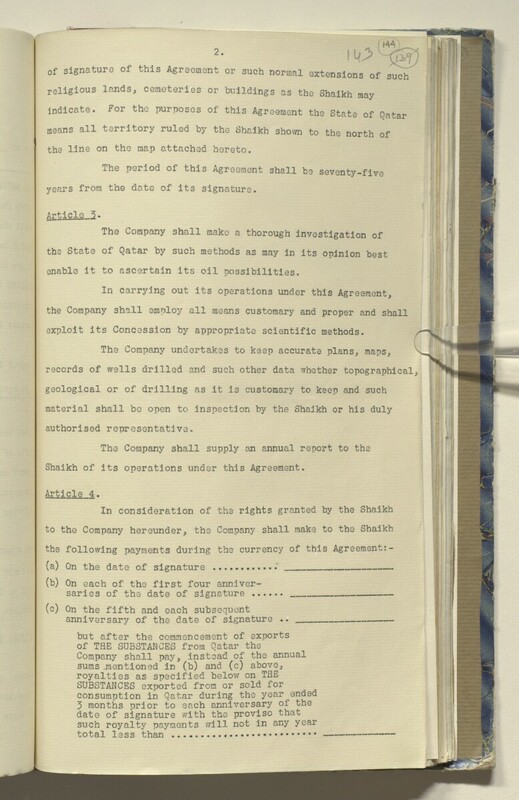 Shaikh of its operations under this Agreement.